“Impeach the President” is not only a phrase heard more and more often these days. It also happens to be the name of one of the most sampled songs in history. So what could be more fitting than using this song for our biggest Beat Battle so far? Download it for free, chop it, flip it and turn it into a banger with a purpose. The beat battle is judged by Drumma Boy. The beat battle is over and this track is free no more. Good luck to everyone who participated, we will let you know who won soon! The classic track by The Honey Drippers has been sampled in over 700 songs. It’s been used in songs by Nas, J. Cole. Dr. Dre, Biggie, EMPD, Janet Jackson, and too many others to list. Hosting and judging this Beat Battle is none other than two times Grammy Award-winning producer Drumma Boy. 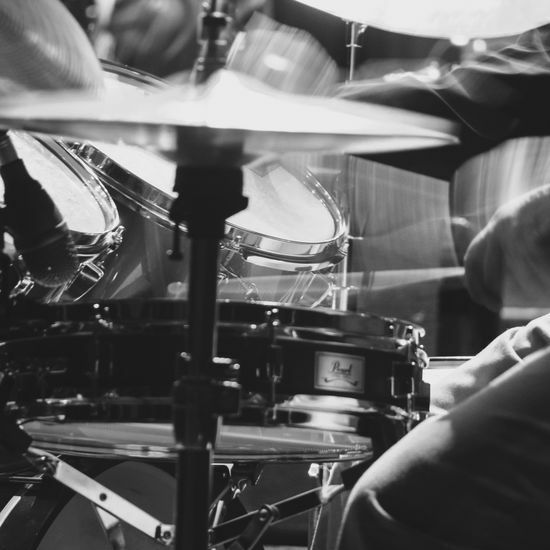 So take a stance with one of the most iconic–and meaningful–drum breaks in hip-hop history in our new Beat Battle. “Impeach the President” is not just a song title now, but a powerful call by the people for change. Sample it and cook up a beat that impresses Drumma Boy. Together we can make a difference. “Impeach the President” is in our most expensive category - A. The cost to license a sample from Category A is $2500. However, less than 0.5% of our songs are in Category A and more than 90% are in Category C, which are only $50 to license. Our goal is to make legal sampling accessible for everyone. 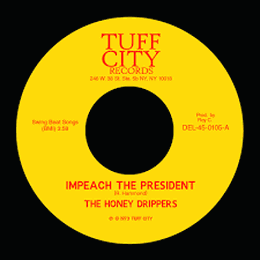 “Impeach The President” by funk band The Honey Drippers was released in 1973. It served as a protest song for the impeachment of President Nixon, amidst of the Watergate-scandal. In 1984, Marley Marl was the first to sample the kick and snare from the track for “The Bridge” by MC Shan. In that period he used the break a couple more times for tracks such as “Eric B. Is President” (1986) and “Make The Music With Your Mouth, Biz” (1987). Following those beats and the official inclusion of “Impeach The President” in the legendary Ultimate Breaks & Beats series in 1987 (Volume 11), the funk track grew out to be a sampling standard as one of the most sampled drum breaks ever. Nas, Biggie, Pete Rock, Dr. Dre, EPMD, Digable Planets–the list of artists sampling the track is endless. “Impeach The President” was originally released via Alaga Records, a small label founded by soul singer Roy C. Hammond in 1970, who also discovered The Honey Drippers in the early 70s. In 2011, the track was reissued by Tuff City Records. The pioneering hip-hop label out of New York started off releasing music by the likes of The 45 King (including his groundbreaking “The 900 Number”), Cold Crush Brothers, Lakim Shabazz, Ghetto Philharmonic, Spoonie Gee, and many more. Tuff City later transitioned its main focus towards reissuing old blues, jazz, funk, soul and R&B, records as old as soul music from the 40s. 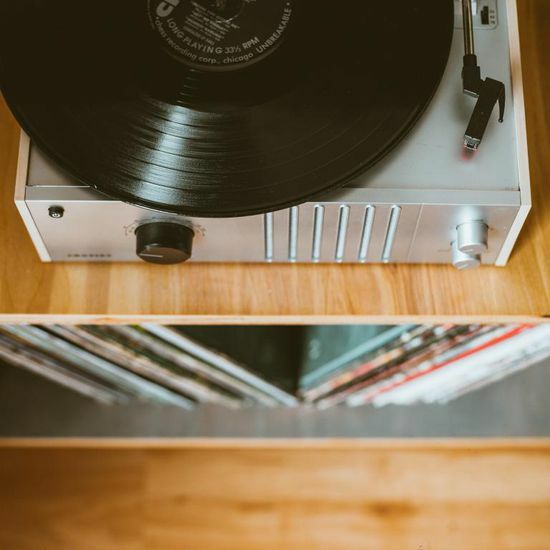 Also through sub-labels such as Ol’ Skool Flava (old school hip-hop), Funky Delicacies (funk), Soul-Tay-Shus (soul), and Andale Records (latin). A new direction into preserving old music fitting with Tuff City’s founder: journalist and music historian Aaron Fuchs. This Beat Battle is hosted and judged by Drumma Boy. Early on in his career, the Memphis-born, Atlanta based producer/rapper earned titles such as "Best Indie Producer of the Year" (Southern Entertainment Awards, 2009-2011) and nominations for "Producer of the Year" (Ozone Awards, 2008 & BET Awards, 2010). This led him to make music with the likes of T.I., Usher, Waka Flocka Flame, Gucci Mane, Young Buck, as well as Scarface and Bun B (of UGK) early on in his career. A few Grammy nominations followed for his work for T.I. (Paper Trials - Best Rap Album) and Kanye West & Young Jeezy (“Put On” - Best Performance by a Rap Duo), and two Grammy Awards for Usher's Versus EP. Drumma Boy is also a member of Tracklib's Advisory Board, together with Erick Sermon, Prince Paul and Zaytoven. Your Instagram profile needs to be public for us to be able to see your post. Only entries using the #tracklibbeatbattle and #impeachthepresident tags with at least two friends are tagged, will be entering the competition. The first prize will be awarded a full Category A sample license to monetize their work for free. The winner will, however, still have to pay the original rightsholders their share (10, 25 or 50% depending on sample time) of any eventual revenue earned on the new song. 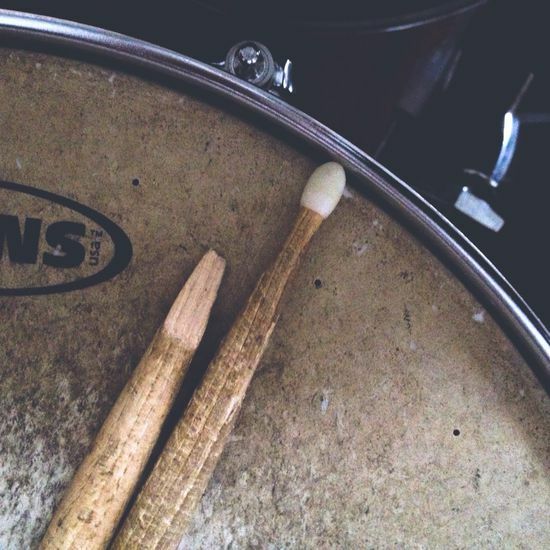 "With a kick, snare, kicks and hi-hat"